AutoNavi is almost sure to become food on Alibaba’s plate. According to latest news, the two companies has already nailed an acquisition agreement, meaning that Alibaba will acquire the remaining 72% of AutoNavi’s stake, with an evaluation of around $1.5 billion, up more than 40% from last May when Alibaba first bought AutoNavi’s shares. At the moment, AutoNavi’s board of directors has already approved the transaction, which is to be completed in the third quarter this year. Alibaba became AutoNavi’s largest shareholder last May when it bought 28% of AutoNavi’s stake with $294 million. By February this year, Alibaba had decided to take over AutoNavi, making the digital map and navigation service provider one of the subsidiaries of the e-commerce giant family. In the 10 months following Alibaba’s first move to procure AutoNavi, the two companies had put in considerable efforts to fit in, especially on “double 11” last year, when AutoNavi made its official debut within Alibaba Group on the occasion of Alibaba’s first trial in O2O business with Yintai department store. Since the openning of 2014, Alibaba and other Chinese internet giants are becoming increasingly ambitious in O2O business. AutoNavi announced its integration with one of Alibaba’s affiliates, Taodiandian, introducing location-based food ordering service for the first time. Following Alibaba’s announcement of its acquisition plan on 10 February in 2014, AutoNavi’s CEO Cheng Congwu remarked at the company’s quarterly financial report analysis conference in February, that AutoNavi had become Alibaba group’s vanguard in O2O business, closely cooperating with entities under Alibaba Group such as Ali Cloud, Taodiandian and Alimama. The lastest version of AutoNavi’s map app features an integration with Alipay, allowing users to pay taxi fares through Alipay while enjoying a discount from Kuaidi Taxi, a popular Alibaba-backed taxi hailing app. Statistics show that by the end of last year, AutoNavi’s map/navigation app had achieved a total installation of 300 million. Users can enjoy some 500,000 group purchases, buy coupons, booking rooms in 100,000 hotels, reserving tables at 200,000 restaurants, buying film tickets in over 400 cinemas, checking out apartments for rent or sale in over 35,000 residential quarters or buildings, as well as looking for cleaning service or designated driving service. Map data is of vital importance in this age of moblie technology. Whoever obtains map data will have a greater hold over the market, and a more solid foundation in O2O business. While AutoNavi is falling into Alibaba’s pocket, its major competitor in the field, Navinfo, is going through a trade suspension at the A-share market. The two companies together account for over 90% of market share in the business of pre-installed onboard navigation system for cars. Navinfo is now trying to introduce strategic investors. 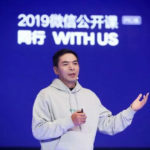 Speculation among insiders has it that the company is very probably being contended by two other internet giants, Baidu and Tencent. In its invitation for bids, Navinfo provided that the bidder should have a registered capital of no less than 1 billion yuan (USD 161.76 million), a net asset of no less than 1.5 billion yuan (USD 242.63 million) and most specifically, a direct or indirect possession of internet resources that can serve as a solid support for the company’s current operations. Navinfo has worked closely together with Baidu, providing significant parts of Baidu Map’s base data. Meanwhile, A new figure has just appeared among Navinfo’s independent directors – Wang Xiaochuan, CEO of Sogou, a search engine company which merged with Tencent’s Soso last year. Navinfo is also going to establish connected transactions on a regular basis with companies such as Sogou, with estimated value no more than 110 million yuan (USD 17.79 million). The war on map data launched by Alibaba’s acquisition of AutoNavi has just begun and is sure to escalate once Navinfo brings in new investors.